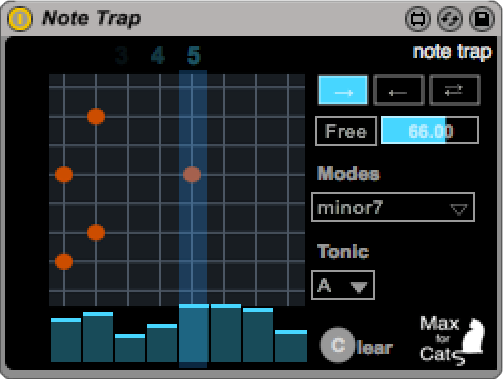 Note trap is a free Max for cats MIDI device which lets you create musical patterns in musical scales and tonic. Ideal to add some minimalism and/or serialism into your music style! 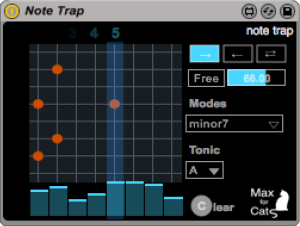 Posted in MIDI FX and tagged free, M4L MIDI FX.